“My daughter met with Chris only a few times before taking the SAT Math Subject Test, Level 2. "His patience, knowledge, and test taking techniques were exceptional. Chris is unique in enabling his students to have confidence in their abilities and to achieve their goals. "... a [perfect] 800, in this instance." "Chris began working with my son at which point his grades gradually improved and his self-confidence in the area of mathematics began to rise. His SSAT score increased from the 19th to the 69th percentile. "My son is currently a student at the University of Colorado at Boulder and considering a major in Physics. Chris truly did change his attitude toward math." "Chris has been such a great help to me during this process [ACT prep]. I have had tutors for standardized tests in the past and none of them have helped me as much as Chris. "He put me at a level where I was actually competitive for the schools I wanted to go to, and I am happy to say that I will be attending my first choice school next year in part because of him. “Our conscientious and studious daughter has attended a very rigorous private girls school in San Francisco since kindergarten. "After she did poorly in the math section of the 7th grade SSAT, we asked her school math teacher to recommend a private tutor and we were immediately referred to Mr. Borland. “Chris is exceptional! He takes the time to build rapport and trust with his students, and works with them to review core subjects and teach valuable test taking skills. There's plenty of stress during the college application process and working with Chris makes the test prep a more positive experience. He is thorough, patient, and knowledgeable. "As a result of Chris's skillful instruction and enthusiastic support, my daughter's experience of the SAT math section transformed from that of a chaotic, frightening specter to a doable, enjoyable challenge. Thanks to her work with Chris, her confidence improved, her anxiety decreased, and her SAT score rose dramatically. With Chris's assistance, my daughter was able to increase her SAT math score by 120 points after only five 90 minute tutorial sessions. “My daughter reported that she appreciated her work with Chris, who provided just the right mix of ''pulling and pushing' to make their SAT prep sessions both fun and highly productive. His emphasis on teaching and continually reinforcing a relatively small number of key SAT math strategies enabled my daughter to attack the math section of the SAT in a whole new way, and really took the mystery out of this puzzling portion of the test for her. “We have found Chris Borland to be a very effective communicator, and a personable, supportive, and talented academic coach. I wholeheartedly give Chris my highest personal recommendation." "Chris is great. His advice on test taking techniques and his teaching style helped our daughter improve her overall SSAT score by 50 percentile points [to 83rd%-tile]. We will be coming back to Chris for SAT prep!" “... when she was in seventh grade, our daughter qualified to take the SAT as the entrance test to the Johns Hopkins Youth Program. "Chris explained the structure of the test, helped her become familiar with the directions, and taught her strategies for answering certain types of questions. “My daughter, Emilee spent three hours with you this last September and you made all the difference. She was able to raise her SAT score by more than 200 points! "Chris helped me improve my SAT math score by 150 points in a 2 month period! I had a great time working with him. I tried several other SAT tutors who were unable to provide me the same great results. I would recommend Chris to anyone looking to boost their SAT or ACT score." “From day one, Chris was a very out going person that I felt comfortable around. He makes jokes every once in while to keep a dry subject like the SAT's interesting. The most important thing for me was that he never moved on until he made sure where I was making mistakes and helped me so I would not make them again. "My favorite part about Chris’s program is that it's not all about content like the other SAT courses are. Chris didn't try to teach me new material but instead he taught me new strategies that I had never heard of before which helped me work at a faster pace and get more answers correct. "Overall, I am extremely happy that I worked with Chris and I truly believe that he is one of the best SAT instructors out there. I really enjoyed the sessions I had with him and I still use the strategies he taught me for multiple choice tests that I take today." 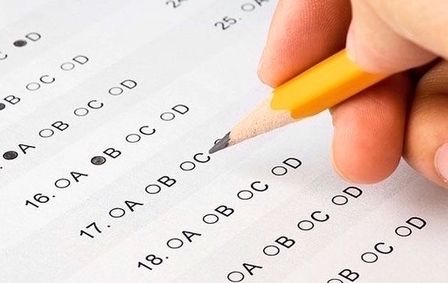 Standardized testing is an important fact of academic life. Unfortunately, many students receive artificially low scores that give an unfairly negative impression of their academic abilities – not because they aren't capable students – but simply because they don't know how to correctly approach the task of taking a standardized test. Most of these students, without realizing it, make simple strategic errors that can have a disastrous effect on their standardized test scores and, as a result, on the educational opportunities made available to them. Fortunately, it is possible, in a relatively short period of time, to learn the ropes of standardized test taking, for students to adopt simple, powerfully effective test taking strategies and train basic skills that allow them to optimize their performance on standardized tests. This "strategic approach" enables students to make the most of the knowledge they already have – and can mean the difference between disappointing scores and real success. Borland Educational Test Strategy Workshops are complete courses, packed with dynamite test taking info, materials, tips, strategies, exercises, and assignments designed to help students blast through test taking barriers and achieve outstanding scores. •zChoosing to work on fewer hard questions and then slowing down makes each section of the typical standardized test shorter, easier, less stressful, and far more productive for nearly every student? •zGuessing is typically a good idea – but should be done in a completely different way on math questions than on verbal questions? •zThe hardest math questions can be among the easiest to guess correctly? •zOne can earn points on analogy and synonym questions without knowing what the given words mean, and on reading questions without “reading” the passage? •zLearning to fill in bubbles the smart way can significantly improve one’s score? It’s true! These are just a few of the many amazing tricks of the trade that students learn to apply in the Borland Educational Test Strategy Workshops. •zHow and why standardized tests like the ACT, SAT, SSAT, HSPT, and SAT2Math (SAT Math Subject Tests) differ radically from ordinary tests and demand a radically different test taking approach and focus in short-term preparation. •zKey general test taking tips and strategies, including: "Choose Your Battles," "Two Pass Approach," "Marking System," "Process of Elimination," and how critical it is to understand how your test is scored (and why this usually makes intelligent guessing a smart thing to do). •zWhen and how to guess: the role of intuition, "Gut Guessing," using a "Guessing Machine," and knowing when not to guess. •zSpecific strategies for handling typical standardized test math questions. •zA simple "Plan B" that enables average students to answer many of the worst math questions with ease. •zMath that Matters: easy to learn speed math techniques for estimation, percents, fast fractions, and mental calculation. •zParticular strategies for attacking sentence completion, reading, writing, synonym, and analogy questions. •zA simple exercise that can improve reading comprehension scores in less than 10 minutes a day, and helpful suggestions for slower readers. •zThe many benefits of long-term preparation for standardized tests, and how to best profit from one’s extra investment of time and energy. •zThe best off-the-shelf test prep workbooks and guides to use ... and more. These examples illustrate the substantial advantage students gain by participating in a Borland Educational Test Strategy Workshop. But what else distinguishes these courses? With so many other test taking programs, private teachers, and test prep books competing for your business, why should you go with Chris Borland and Borland Educational? Success on “provide the answer” tests, the kind students take routinely in school, depends roughly 90% upon subject knowledge and only 10% upon test taking strategy. However, high scores on “pick the answer” tests (like the ACT, SAT, SSAT, HSPT, and SAT2Math) depend in roughly equal amounts on subject knowledge and test taking acumen. While little or nothing can be done to meaningfully strengthen one’s command of mathematics or the English language in a few hours, a lot can be done in the same short time to learn powerful test taking techniques, tips, and strategies that dramatically raise standardized test scores. Mastery of basic content knowledge naturally plays a huge role in student achievement on standardized tests, and long-term work with such a focus is highly recommended. Unfortunately, many standardized test courses, private teachers, and workbooks take a mostly content-based approach to short-term test prep, attempting to rapidly boost scores by quickly improving students' underlying math and verbal skills. While such short-term "drill and kill" cramming may make students feel better prepared for the test, it simply cannot and does not take the place of diligent, disciplined academic preparation year after year in school; instead of actually becoming better able to score well, students can develop false confidence and are often disappointed with the results they achieve. By contrast, the strategic approach to standardized test taking is designed to enable students to make the utmost of the math, verbal, and writing skills they’ve already acquired in school and offers most a far better chance of greatly improved performance in the short term. Training students to adopt the strategic approach is the best way to quickly and dramatically increase standardized test scores – and this is the entire purpose of the Borland Educational Test Strategy Workshops. Students who enroll in Borland Educational Test Strategy Workshops receive a course folder filled with course notes and strategy outlines, study sheets and practice exercises, worksheets and tracking forms, lists and appendices – materials created especially for these courses and available nowhere else – together with the Borland Educational Resources volumes and test prep libraries on usb flash drive. Each student is different, with his or her own test taking strengths and weaknesses, and each Borland Educational Test Strategy Workshop is customized to help meet the particular needs of the individual students enrolled. Realistic test taking practice is a key feature of the Borland Educational Test Strategy Workshops. Each student takes full-length practice tests, and numerous mini-tests. Students are taught to record and interpret their practice test results, critique each performance, and keep a “reminders list” of important things they can do to improve their score, to review before each new attempt. Chris Borland is a well-known and respected professional academic coach and test prep specialist, in private practice since 1977. As a career private educator for more than 40 years, Chris has conducted more than 25,000 instructional sessions for more than 1,500 clients, and has taught hundreds of courses in standardized test preparation for schools, student groups, and individuals in the San Francisco Bay Area and elsewhere. Borland Educational Test Strategy Workshops typically comprise six to twelve hours of instruction divided into several 90-minute segments, and are offered to individuals and student groups ranging in size from two to twenty-five or more. Specific days and hours can be flexibly arranged around school and family schedules, vacations, etc. Sessions are held at schools, in students’ homes, at Borland Educational offices in Sausalito and Santa Rosa, California, or other local facilities. “Our son ... was having a tough time with the SSAT, continuing to score in the 50th percentile range despite months of workbooks, online course study etc. After only seven sessions [with Chris], he scored in the 94th percentile! In reading comp alone he went from 45th to 97th!" "My daughter met with Chris only a few times before taking the SAT Math Subject Test, Level 2 ... and achieved her goal, a perfect 800." “Chris tutored my son for the SSAT test … worth every penny. My son responded very well to him and developed learning strategies he's using to this day." "Chris and Marshall only met four times for a total of 4.25 hours; Marshall more than doubled his earlier SSAT verbal score to 71st percentile." “With Chris’s help, I was able to achieve a higher SAT score than I originally thought was possible." "My son had been struggling … and in a matter of one month, Chris Borland, who came to our home only once a week, was successful in helping him increase his overall composite score in the Iowa Tests of Basic Skills from 52nd percentile to 80th percentile." Although similar workshops provide far less, they can cost much more. Borland Educational Test Strategy Workshops offer schools, groups, and families an excellent value. We all learn best when we’re having fun. Courses are conducted in a light and entertaining way, and the enjoyment of all involved is a top priority. It’s exciting for students to discover how much they can do to raise their test scores, and it's our goal to make the courses fun and interesting, as well as informative and transformative, for each one. If you would like to arrange a Borland Educational Test Strategy Workshop for your school, student group, or individual student, or if you have any questions or would like further information, please contact Chris Borland. Thanks for your interest in the Borland Educational Test Strategy Workshops.